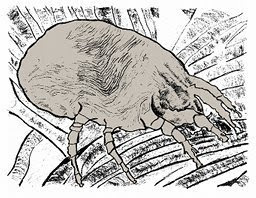 Dust mites are tiny, nearly microscopic mites that live in the organic debris (dust) in our homes. They normally go unnoticed unless we happen to be allergic to their droppings. 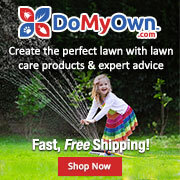 Proteins in the mite's feces can cause mild to severe allergic reaction in some people. If you are affected by dust mite allergy, here are a few things you can do. First, see your physician or allergist to confirm that dust mite allergen is the cause of your condition. Once dust mites are confirmed take steps to separate yourself from the mite allergens and to reduce overall mite numbers. Do not, however, attempt to control dust mites with insecticide as this will only make your respiratory problems worse. See this article for ways to reduce the dust mite population by controlling indoor relative humidity, removing air-borne allergens, encasing mattresses in allergen-proof covers, and wet-cleaning rooms. Air purifiers (air cleaners) that use HEPA filters may be another good way to reduce air-borne allergens (dust mite allergen, pollen, molds, etc.) on a room by room basis. HEPA air purifiers actively draw an airstream through a series of microscopically fine filters that scrub the air of any particulate matter. These devices can be placed in bedrooms and other rooms where you spend a lot of time. While HEPA air filtation works well to remove dust mite allergen you should first do all of the other things suggested above. See this article about HEPA air filters and dust mites for more information.